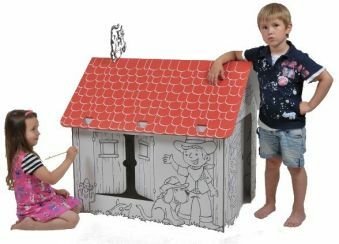 White cardboard, 7 mm, foldable playhouse with contoures for coloring, red colored rof and a cat on the rof. For kids from 3.y.o. Dimensions: 88x99x85 cm.